Gulf World Marine Institute (GWMI) is responsible through National Marine Fisheries Service and Florida Fish and Wildlife to help with the protection of endangered and protected species by conducting rescue, rehabilitation and release of stranded sea turtles and marine mammals. 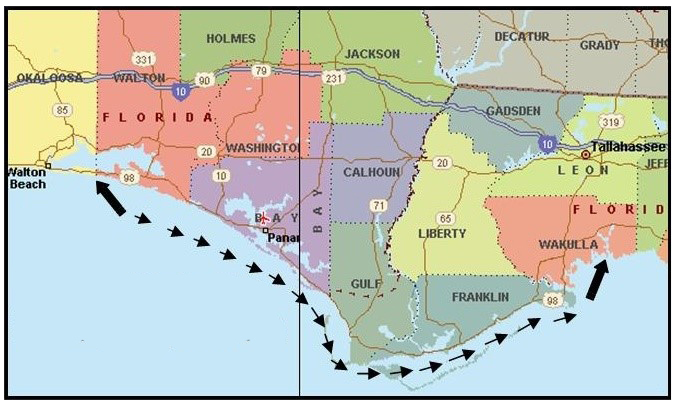 The Gulf World Marine Institute response area, from Ft. Walton Beach to St. Marks, covers 137 miles of Gulf of Mexico coast and 300 miles of estuaries, bays and bayous. This area has one of the highest incidences of marine animal stranding in North America. An important part of our program is to inform locals and visitors to our area the importance of respecting and protecting the habitat of these marine animals, which support so much other sea life.